Our choice for the Object of the Month this December was inspired by the colder weather. 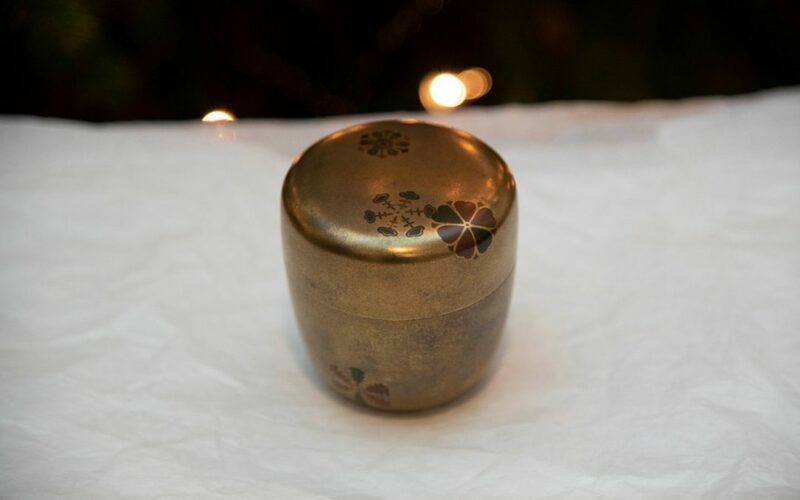 It is a gold lacquer tea container or natsume with a stylised design resembling falling snowflakes. Designs for wares used in the tea ceremony, or chanoyu, were often seasonal. The host of a tea ceremony would carefully choose tea wares based on the season, or the guest who was visiting to participate in the ceremony. The traditional sweets eaten with the tea would also often be themed for the season. This tea container would have contained the traditional bright green matcha tea powder. Matcha is made when the finest young tea leaves are chosen, steamed, dried, then ground into a fine powder. During the Japanese tea ceremony, a thin bamboo stick with a curved end is used to scoop some of the powder out. It is put it a large, rough, glazed earthenware teabowl and whisked rapidly until it is foaming. 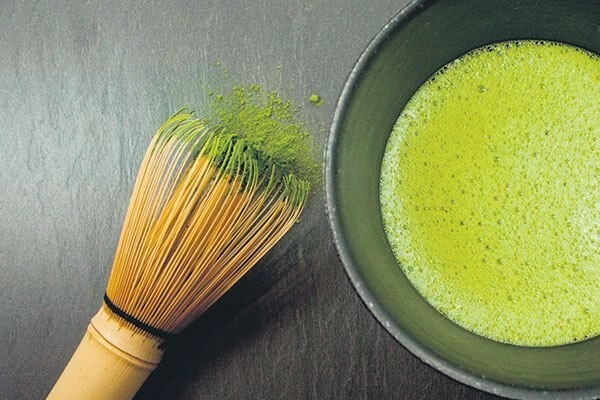 Only a small amount of matcha tea is made in the bowl, as it is very strong and high in caffeine. One of the most famous types of teabowls are raku teabowls (chawan) which are known for their black or deep red glaze. The glaze contrasts beautifully with the matcha tea. The tea ceremony, also known as chado or the ‘way of tea’, is a ritual practice that involves specific movements and utensils. The style of tea ceremony that is still practiced today can be traced back to the unusual style of preparing tea and choosing utensils of the 16th century tea master Sen no Rikyu. He transformed the drinking of tea from a luxurious pastime associated with the rich to a ritual inspired by some of the key themes of Zen Buddhism – simplicity and discipline. The discipline required to learn the set movements of the ceremony appealed particularly to samurai warriors. 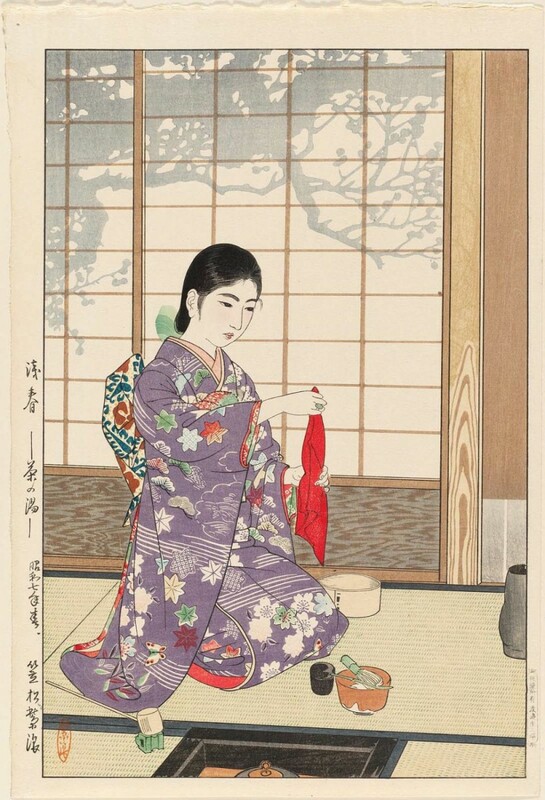 A woodblock print of a lady practicing the traditional tea ceremony with a tea caddy, tea bowl, whisk, and bamboo scoop in front of her, Kasamatsu Shiro, 1932. Ukiyo-E. 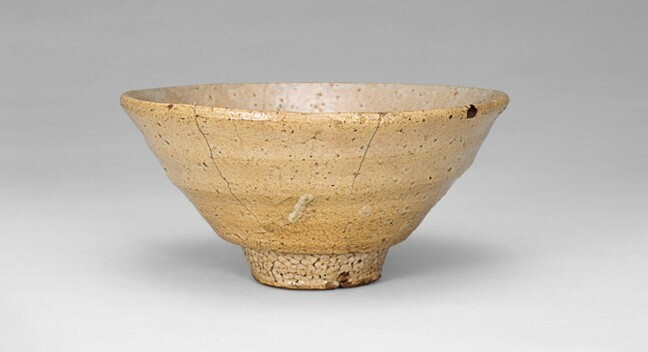 The aesthetic style of the tea ceremony known as wabi, or the beauty of things that are simple, plain, and worn, is often attributed to Sen no Rikyu. Wabi is an aesthetic that still plays a key part in Japanese design today. Sen no Rikyu’s style of tea ceremony and his taste for wabi style tea wares was so popular that he was invited to be the official tea master to two of the most famous warlord rulers of Japan in the 16th century, Oda Nobunaga and Toyotomi Hideyoshi. A tea master’s ability to pair worn, aged, plain wabi objects such as an old tea bowl or a simple bamboo tea scoop with luxurious and beautiful wares such as the lacquer tea container here at the Castle was highly admired. Some tea wares, if they were given the seal of approval by famous tea masters, became so precious that they were given their own names and were passed down through many generations. The snowflake design tea container here at Chiddingstone Castle was made by painting thin layers of a certain type of Japanese tree sap onto a wooden base. The lacquer, which has to be processed once tapped from a tree as it is quite toxic, can be coloured with black or red pigment. 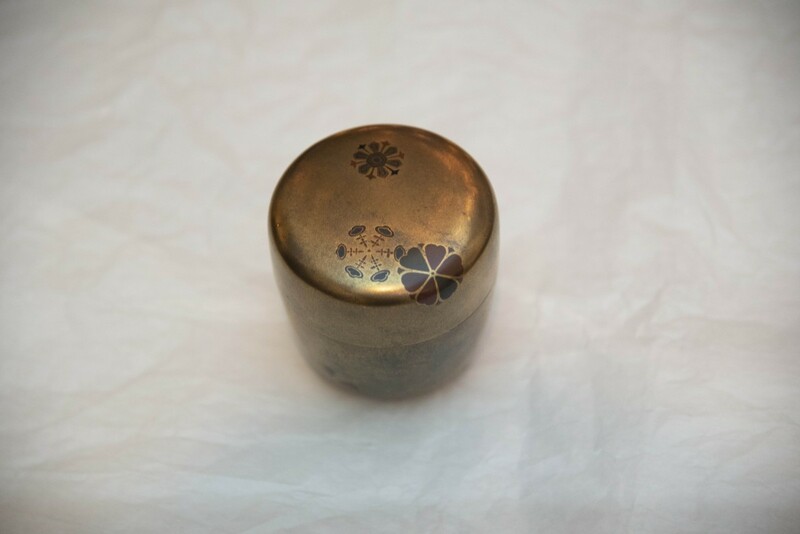 The inside and outside of this tea container is gold coloured, which is achieved by sprinkling fine gold powder over the lacquer. Japanese lacquer wares are often called ‘sprinkled pictures’ (maki-e) due to this technique. Some of the snowflakes are made using the togidashi-e technique, in which layers of lacquer are painted over a design and then polished away to reveal it again. This luxury object may have been carefully chosen for a winter tea ceremony by a rich merchant or member of the samurai class.